What are you trying to dispose of? When do you need a box, and for how long? 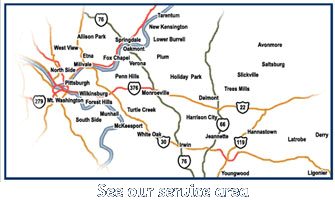 We help you determine what size dumpster is needed. 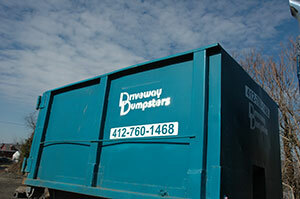 Driveway Dumpsters delivers a 10 or 15 cubic yard roll-off box, as needed. We will provide instructions on how to safely and legally fill the dumpster. In general, the dumpster remains on your site for one week. You load it and call us when you are finished. If your project runs overtime, we would appreciate the courtesy of a call. We return a day or two after you are done and remove the dumpster. To prevent problems, please make sure that access to the dumpster is clear when we return. Please open any gates and move any vehicles or other material that may prevent us from reaching and picking up the dumpster. Discarded, used car and vehicle batteries. Disposal of hazardous liquids and fuels. Disposal of household and industrial chemicals and cleaners. Disposal of TVs, computers and electronic devices (now governed by recycling laws). See also our page on dumpster Safety. Use the form on this page to Get a Free Quote, or visit our Pricing page for information on rental costs.